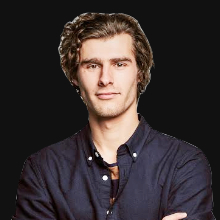 Xander is a computer-science engineer from Belgium, Europe, fascinated by Machine Learning and Artificial Intelligence and YouTube vlogger at ‘Arxiv Insights’. Through his master thesis on EEG-based brain-computer interfaces, Xander first came into contact with the vast opportunities provided by data driven computer algorithms. Working as a Machine Learning consultant for 4 years, Xander has worked on many different projects including computer vision (object tracking, optical character recognition, image classification, ..) , natural language processing (chatbots, text classification, …) and many others using open source libraries like TensorFlow and Pytorch in combination with powerful compute resources on the Google cloud platform.Recently, Xander started focussing on the interface between academic research and the real world through a PhD in Deep Reinforcement Learning focussed on applying these novel algorithms to industrial process optimization. Xander is now head of applied ML-research at Belgian AI scale-up ML6. Building your first intelligent agent to play video games, using Reinforcement Learning and PyTorch!